Wax candles: One who is using wax candles, must verify that the candles are long enough for them to burn until 30 minutes after nightfall. Thus, practically the candles must be long enough to last a minimum of 70 minutes, if not more, depending on country. If one does not have enough long candles available, then it suffices to have at least one candle which is long enough to last this amount of time. If the candles extinguished before Shabbos: If the Chanukah candles that were lit Erev Shabbos extinguished before Shabbos had begun, some Poskim rule one is not required to relight the candles. However, other Poskim rule that in such a case, one must relight the candle without a blessing. Practically, one should always relight candles that extinguished before their time, especially on Erev Shabbos. If one has already accepted Shabbos, then he is to ask another person to relight the candles. On Erev Shabbos Chanukah, one Davens and early Mincha. One lights the Chanukah candles prior to the Shabbos candles, within the time of Plag Hamincha. One is to place enough oil in the candles for them to remain lit for at least 30 minutes after nightfall. May a wife light the Shabbos candles prior to the husband lighting the Chanukah candles? Initially, the wife is to only light the Shabbos candles once the Chanukah candles have been lit by her husband. However, in a time of need, she may light the Chanukah candles prior to her husband lighting. She may certainly begin the lighting after her husband has lit one candle, if she is pressed for time. If a man already lit the Shabbos candles, may he still light the Chanukah candles? If a woman already lit Shabbos candles, may she still light the Chanukah candles if no one else is lighting for her? No [unless she made a Tnaiy]. However, she may ask a Jew who has not yet accepted Shabbos to light the candles for her, having him say the first blessing in her presence while she recites the remaining blessings [of Sheasah Nissim, and Sheheciyanu if this occurred on the first night]. If it is very close to Shabbos and one has not yet Davened Mincha or lit candles, what should he do? One should first light candles and then Daven Mincha. If one fears to light the Menorah by the doorway due to children and the like, where is he to light it? It is to be lit by the window or table. May one move the Menorah on Shabbos? Moving the Menorah itself: It is forbidden to move the actual Menorah even after it has extinguished, due to the Muktzah prohibition. 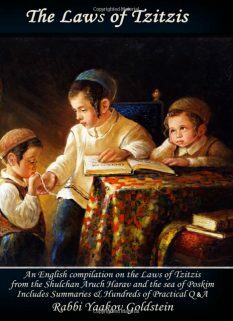 It may be moved with an irregularity, just as is the law regarding all Muktzah. Moving a tray or chair that contains a Menorah: If the tray or chair has become a Basis [see below] then it is Muktzah, and may not be moved unless one uses an irregularity. If the tray or chair is not a Basis, then the tray or chair may be moved together with the Menorah even regularly [without touching the menorah], if one needs the space [as is usually the case when by a doorway]. The tray/chair however may not be moved in a regular fashion simply to prevent the Menorah from getting damaged. Moving the Menorah while still lit: In the above case [that the tray or chair is not a Basis] one may move the tray or chair gently, even if the Menorah that is on it is still lit, even if it contains oil. However, by an oil candle, this is only allowed if one is able to do so very gently to the point that no oil swerves in the process. How does one effect that the tray/chair does not become a Basis? What is one to do if the tray has become a Basis? One may only move it with an irregularity [Shinuiy]. This means that one calculates the amount of day hours in the day and then divides that by 12. One then times that by 1.25 hours, which is the number of hours in Plag Hamincha [1 hour and 15 minutes]. Thus, if there are 14 day hours in the day, then each hour when divided into 12 contains 70 minutes, and thus Plag Hamincha would be 1.25 hours times 70 minutes which equals 87.5 minutes prior to sunset. 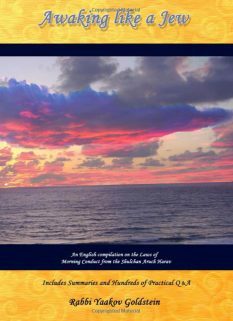 Ruling of Admur in Shulchan Aruch: In 263:6 Admur rules that Plag Hamincha is1 hour and 15 minutes before nightfall. This is based on 58:3; 89:1 in which Admur rules the day is from Alos until Tzeis. Likewise, in 261:5 where Admur rules that although one may be stringent to accept Shabbos from 1 and ¼ hours prior to sunset, he may not be lenient to light candles until 1 and ¼ hours prior to nightfall. However, in Admur 443:4 he rules it is counted from sunrise until sunset and so rules Admur in the Siddur. 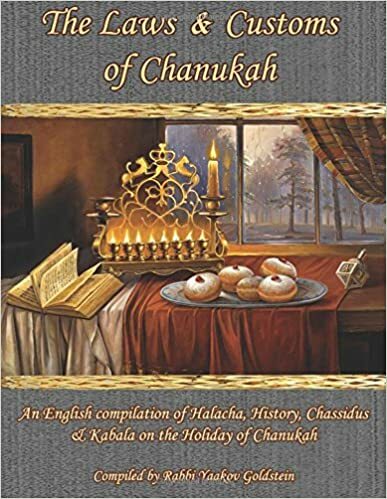 The reason: As the allowance to light the Chanukah candles prior to sunset follows the opinion that from Plag Hamincha is considered night, and thus if one were to afterwards pray Mincha it would contradict to the lighting of the Chanukah candles. 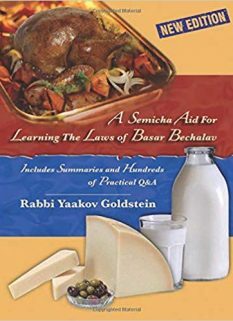 [P”M 671 A”A 10; Shaar Hatziyon 679:7; Kaf Hachaim 671:79] Alternatively, the reason is because in the Mikdash, the Karban Tamid was offered prior to lighting the Menorah. [Birkeiy Yosef ibid] See however Tzur Yaakov ibid who answers how these reasons do not contradict the above custom. As one begins to light the Chanukah candles prior to the Shabbos candles which are lit 18 minutes before sunset, and following sunset until nightfall is approximately 20 minutes, depending on country. In some places the candles must last much longer due to a longer twilight period. Likewise, the earlier one lights the candles before Shabbos, the longer they must last. Such as a simple metal or silver tray, or deposable baking pan. 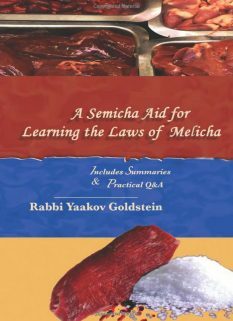 Now, although these have been designated to be used for the candles, nevertheless, since they were not specifically made for this use, they can become nullified to the permitted object over the Muktzah object. So is implied from the term used in Admur 279:5 “since the candle is made for the sake of the flame”, and not simply designated. So rules Piskeiy Teshuvos 279:2, however see the new Piskeiy Teshuvos 277:10 brought below. 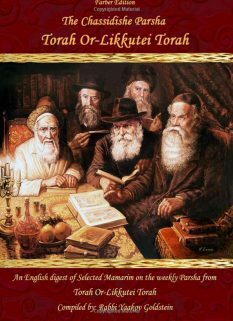 Admur 308:15; 311:15; 276:9-10; 266:19; 301:39 KU”A 10; So also rules: Mishneh Shabbos 141a; Rosh 3:19 in name of Rabbeinu Yonah; Michaber 311:8; Michaber 308:43; Rama 308:3 regarding blowing; M”A 308:7 regarding kicking Muktzah and 308:41 regarding his question on Michaber regarding sitting on Muktzah; M”B 276:31; 308:13 and 81 and 88; 311:30; 1st opinion in Chayeh Adam; Derech Hachayim; 1st opinion in Aruch Hashulchan 311:20; Kaf Hachaim 311:68 [although brings strict opinion in 69].